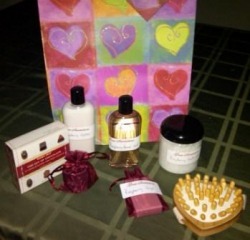 Great Scentsations offers themed gift baskets for holidays and special occassions. 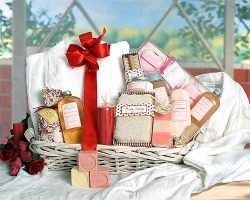 Just like our spa baskets, our gift baskets are overflowing with our scented products and spa accessories. Pamper someone today! The perfect gift ~ hand crafted ~ gift wrapped ~ ready to give! Available in ~ Moonlight Romance, Lavendar, Pomegranate, Ginger Vanilla, Tuberose, and Honeysuckle.